On April 3rd, NYX Gaming has announced the signature of partnership with the National Dutch lotto company Nederlandse Loterij. Following the merger of De Lotto and Nederlandse Staatsloterij in 2016 the newly reformed national lotto and sportsbook provider found itself in a callendrum and sought for a back-end provider that could unify the 2 brand databases. After months of due diligence, NYX Gaming Group and its performant Open Platform System (OPS) was selected to perform this delicate migration. It is said that the OPS platform will also act as a player management system for all products vertical distributed across digital and land bases brand like Staatsloterij, Lotto, Toto, Eurojackpot, Miljoenenspel, Lucky Day and Krasloten. We also suspect that Nederlandse Staatsloterij decision in choosing NYX has much to do with the Open Gaming System (OGS) which enables the distribution omni channel games. Other then a performant player management system what else are NYX known for? Many online casino providers are familiar with NYX Gaming because they are the proud distributors of Fox’ing win again, Medusa, Gorilla Go Wild and the Great White Elk. Whilst NYX is not yet famous for its lottery product and bingo platform here’s no doubt that the signature of this agreement will shine some much needed light on the company business intelligence department. 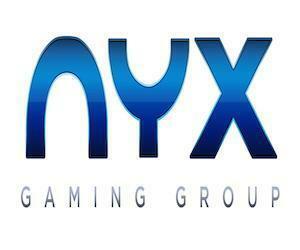 Players who are looking for NYX games online will find them at Leo Vegas, VideoSlots and Shadownbet. If you’re looking for a casino bonus make sure to visit our bonus section for the best selection available on the web.